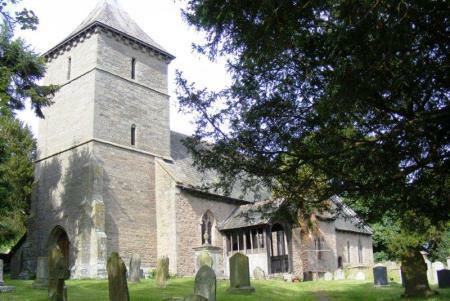 The 13th century stone built Church of St Mary’s is situated above the village of Credenhill five miles from Hereford City and on the side of the densely wooded hill from which it takes it name. Credenhill Park Wood has on its summit an early Iron Age hill fort occupied by a Celtic tribe about 80BC. The village, once an entirely farming community; has now partly become a dormitory town for the near-by city of Hereford. New houses have been built in recent years on a number of estates, but essentially it still has the feel of a rural community. Horses from the local equestrian center can regularly be seen walking through the center of the village and there is a large dairy farm at the far end of the main street. 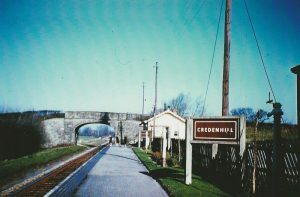 Credenhill has a population of 4000. This includes the members of the SAS camp which has its own church and chaplain. Credenhill is part of a United Benefice of six parishes. The benefice has a Vicar who lives in Credenhill and a part-time non-stipendiary priest living in Mansel Lacy. In addition we are fortunate to have a lay reader who regularly takes services throughout the benefice and a retired priest who officiates at communion. Lay members of the congregation regularly take part in the services and we are also lucky to be able to call on the assistance of a nonconformist minister. The Sunday services are held at 11 am each week: 1st & 4th Sunday, Holy Communion, 3rd Sunday, Family Communion and 4th Sunday, Morning Prayer. When there is a 5th Sunday in the month we hold a United Benefice service held at one of the other churches in the group. ( for full details of the times of services click on Calendar in the panel on the right). We use “Common Worship Holy Communion – Order 1” or on appropriate occasion, the shortened version. We take our hymns from the “Complete Anglican Hymns Old & New” and have a robed choir which meets for practice once a week. The choir is always keen to attract new members and if you are interested in joining please e-mail the Vicar or speak to the choir mistress for an informal chat. St Mary’s does not have a church hall but we are fortunate to be able to use the Community Hall for social events and for the occasional services such as Harvest Festival and a Carol Service at Christmas. As the village is long and straggling with the church at the far end up a steep hill these services have proved popular. 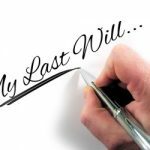 Many parishioners find these easier to access. 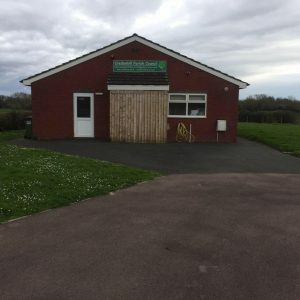 Next door to the hall is a social club which we are also fortunate to be able to use for such social events as Bingo and Skittles. These functions are well attended by villagers of all denominations and none, enabling the congregation and village to meet in a relaxed social occasion. The village has a Church School (St Mary‘s Primary School) and we are also able to hold occasional services there for which we are very grateful. (The donkey on Palm Sunday looked quite at home in the school hall and we are pleased to report didn’t disgrace herself!) We also encourage the children to join in Easter and Christmas experiences organised by church members during school time. We were all very grateful to be able to hold services in the village primary school when, at the height of this winter’s cold weather, the very ancient church heating system broke down. The church has never had a mains water supply so the new system will require not only a new boiler but the laying of water pipes across fields; all at considerable expense. The members of the congregation have been working together to raise the funds for a new heating system which we are delighted to report was installed in December, just in time for Christmas 2012. We are very grateful to all those who have donated to the Boiler Fund over the last year. We have coffee and biscuits after the services at the back of the church when we make a point of welcoming any visitor or newcomer. The old oak table used at this time is believed to have been the original altar moved to its present position when it was replaced by one carved from oak felled on the Credenhill Estate and dedicated to the memory of the fallen in the 1st World War. As we have no water supply at present and no kitchen either, supplies have to be brought to the church, so a special “Thank you” to those who carry the water and cups up the path each week and take them home again to wash.
We hold regular “Family Services” where the children are encouraged to participate and the “Sermon” will probably involve scissors, candles, “Play-dough” packets of seeds and you-never-know what else! An occasional “Messy Church” is held for all the churches in the Benefice at the primary school in Credenhill. The mainly stone building of St Mary’s dates back to the 12th century. You enter through the 15th c part-timbered framed porch where above your head can be seen the intricately carved oak bosses. Restoration work was carried out in 1861 and again in 1876. The earliest parts of the church are the 12th c.nave and chancel arch. Unusually the screen has three arches. The side ones were found blocked up during the 1876 restoration. Documents of c.1649 refer to “..a small oratory on the north side of the church” and there is evidence in the stone work of the position of the wooden partitions dividing the oratory from the nave. The chancel and roof of the nave are 13 c. The west tower and some of the windows are 14 c.
The font is inscribed “The gift of John Squires who lived at Colford 1667. It was presented to St Mary’s in 1885 by Eaton Bishop Church when they acquired a new bowl. It is not known what happened to the old one.